“The Decay and Fall of Guest Blogging.” He later revised the title to: The Decay and Fall of Guest Blogging for SEO. 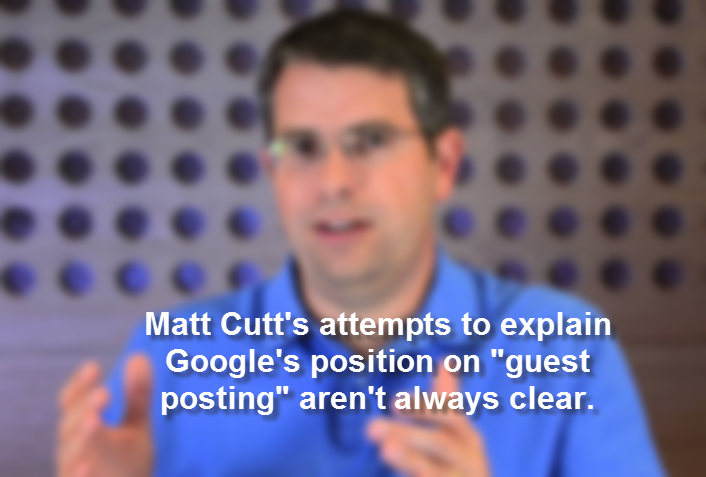 Obviously, when Matt says something the SEO community pays attention. Unfortunately, Matt shoots from the hip occasionally and generalizes his comments on guest posting causing a great deal of confusion. The original post and title is another example. To Matt’s credit he responded to the 400+ comments with a follow up guest post (yes – a guest post!) with examples, a bit of self deprecation and much needed clarity. See link below. I’m a big believer in the value of guest blogging as a strategy to build your brand, reach a larger, incremental audience and bring referrals to your site. And it has great SEO value if natural links are provided by the publisher. Since Matt’s post I’ve spent a great deal of time sorting through the SEO community’s reaction and interpretation of Matt’s post and comments. Below is my recap to save you the trouble. For starters, don’t do guest posting if you are only after the “follow” links for SEO. Guest posting should stand on its own as a strategy. Neil Patel put it well when he said to do it in order to “drive traffic, increase sales, and grow your brand”. It’s better to do a guest post at a highly trafficked, relevant site without the follow, than a site with a smaller audience and the benefit of passing PageRank with a follow. Some marketers are discounting the benefit of referral traffic where links are not followed. Imagine a site that has 50,000 unique visitors. Some will share the post and amplify the brand exposure, others will go to your site, sign up for your enewsletter, follow you and spend time reviewing your offering and your content. If they like what they see, you could earn a direct link from that visitor and additional shared content. All this from a nofollow link! Bloggers and guest author’s should build a relationship of trust and should understand who they are collaborating with. You don’t want outgoing links from your site to one that is irrelevant and of poor quality. Likewise you don’t want to be guest posting and promoting your brand on a site that may be under Google’s scrutiny or hit by a future algorithm update. Publishers see quality guest blogging as a way to scale relevant content and introduce new topics to their audience. However, they will be more cautious in the future and will use “nofollow” tags frequently and integrate it into their guest post guidelines to avoid potential penalties. Although you may not get PageRank from your post, you’ll have all the other benefits of the post (new audience, referral traffic, social shares). Many experts are predicting that Google will put more emphasis on social signals and Google Author Rank to measure the quality of the author’s content and site authority. Lots of social shares are a vote for your content. Stay tuned. 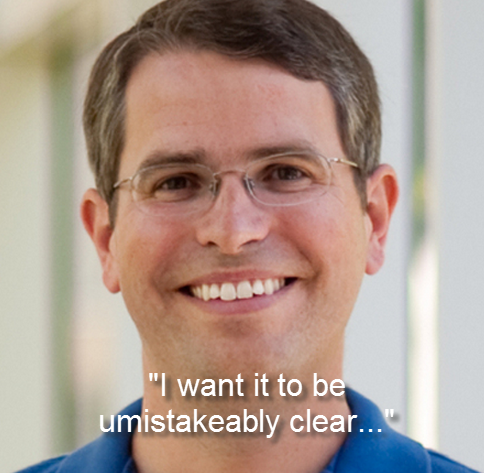 “Stick a Fork in it” – Matt Cutts. Below Are Guest Post Practices That Put You at Risk. Developing and distributing high volume, low quality posts created solely or mainly for SEO is spammy. “Irrelevant posts” on “irrelevant sites” evidenced by shallow thin content and links to pages that don’t add value to the reader. Too much rich anchor text links to the author’s properties. It doesn’t look natural. Massive campaigns to get guest posts. I’ll keep this post updates as more comes out on the important topic of guest posting. In the meantime, happy guest posting!